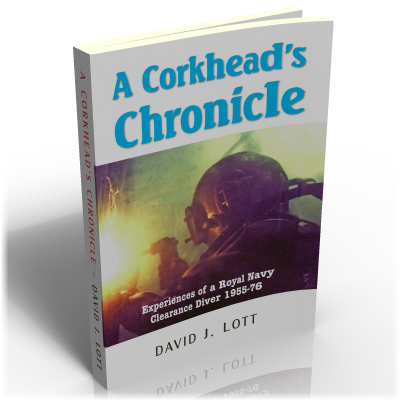 'Corkhead’ is Royal Navy slang for one of the elite group of personnel known as Clearance Divers – members of the Royal Navy Clearance Diving Branch – and in this entertaining account David J. Lott looks back over the 21-year period during which he served as one of their number. Only a small percentage of candidates reached the very high standard of fitness and aptitude required and these divers then made up about 20 teams, which were spread around the United Kingdom, the Mediterranean and the Far East, with commitments worldwide. Their diving commitments included such activities as recovering crashed aircraft from underwater, servicing warships and the ‘clearance’ of bombs, mines and other explosives found below the high tide mark (and although the period covered by this book was during peacetime, plenty of these trappings of war were still very much in evidence). The work of the Clearance Diving teams was tough and dangerous and many divers lost their lives in the course of carrying out their duties. One of Dave’s chief motivations in writing this book was to ensure that their names and deeds were recorded, along with those of the many other colleagues with whom he served over the years, who he remembers with great respect and affection. Illustrated with many photographs from the author’s personal collection this book is therefore much more than just a personal memoir – it is also an excellent record of the activities of the RN Clearance Diving Branch in the postwar years and as such represents a unique piece of Royal Navy history. It is certain to be of interest to all former ‘corkheads’ and ‘steamers’ but also contains much to entertain and inform any reader who has more than a casual curiosity about RN history.